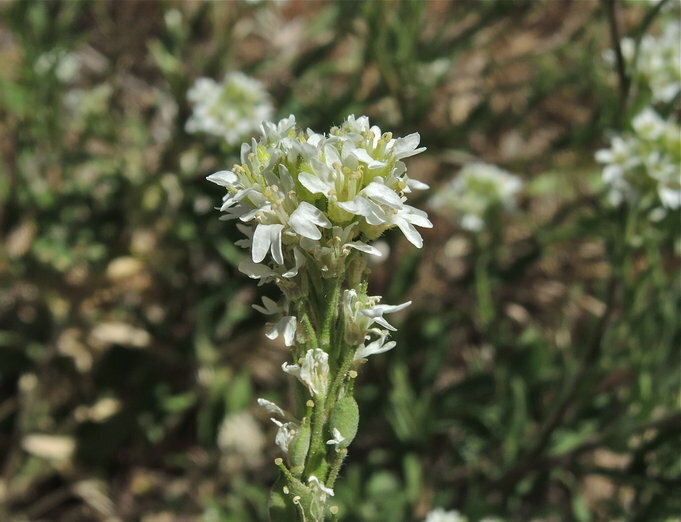 Berteroa incana (hoary alyssum) is a hairy herb/ (family Brassicaceae) with a cluster of white flowers and grayish leaves found in the Central Valley, Modoc Plateau area and desert ranges of California. It is native to Eurasia. It favors grasslands and wetlands. It spreads via seeds and possibly suckers, and vegetatively resprouts from its base.